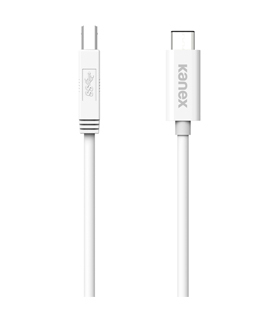 Connect your new MacBook to any Standard-B equipped printer or scanner with the Kanex USB-C > Standard-B Cable. 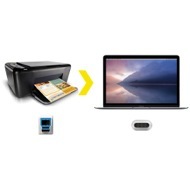 The built-in USB 3.0 technology will have you printing and scanning pictures or documents within seconds. 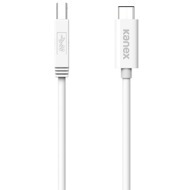 The USB-C > Standard-B Cable comes equipped with SuperSpeed USB 3.0 technology letting you print or scan images and documents quickly every time. Access and transfer information from an optical drive, floppy drive, or a hard drive that supports Standard-B connectivity. This line of USB-C connectivity solutions is made with your needs in mind. As the new USB-C devices are welcomed, the need to bridge the gap between the old, current and new technologies has been identified.